SACRAMENTO, Cal if. — Miriam Uribe enrolled in California’s low-income health insurance program last November, and she still hasn’t found a primary care doctor 10 months later who could see her. “Once you have (insurance), you actually still don’t have it, because it’s still a struggle to find someone,” the 20-year-old college student from Bellflower said. The study, which compared people on Medi-Cal to those with employer-sponsored health insurance, found Latinos and Asian-Americans reported the highest rate of needing language assistance to understand their doctor. Specifically, 28 percent of Asian-Americans said their doctor does not listen carefully, compared to 15 percent of all Medi-Cal enrollees. Shana Alex Charles, a research scientist at the UCLA Center for Health Policy Research who helped conduct the study, said there may not be enough providers who speak Spanish — or there could be an overall shortage of providers in communities of color. Miriam Lagos, 53, a recent Medi-Cal enrollee who lives in Sherman Oaks, said she was told she has to wait a year just to see a specialist for hearing trouble in her right ear. “We are not well-regarded by the doctors. They don’t want to see us,” Lagos said in an interview in Spanish. Medi-Cal, which is California’s Medicaid program for the poor, has grown rapidly in recent years as the state embraced an optional expansion under the Affordable Care Act. That surge has already led to widespread complaints about delays in patients being able to see doctors, specialists and dentists. Doctors and hospitals say the state pays much less for medical services than private insurance or Medicare, which means fewer primary care doctors and specialists are willing to treat Medi-Cal patients. Lawmakers have convened a special legislative session to discuss increasing provider payments, but there is no agreement yet on how to pay for them. California’s health care agency says the state is committed to giving Medi-Cal recipients full and equal access to health care. The Department of Health Care Services says it works with health plans to monitor and reduce disparities in health care, and Medi-Cal provides materials and offers hotline assistance in 13 spoken and 12 written languages. The California Medical Association, which represents the state’s doctors, encourages its members to be sensitive to language and cultural differences as millions more residents gain access to health care, said spokeswoman Molly Weedn. 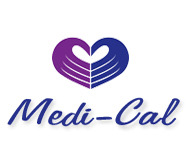 The group is part of a coalition pushing for higher Medi-Cal provider payments and supports a bill by Assembly Speaker Toni Atkins, D-San Diego, seeking federal funding for medical interpreters in Medi-Cal. The industry could also do more to train a more diverse medical and clinical workforce, said Xavier Morales, executive director of the Latino Coalition for A Healthy California. A 2014 review by the California HealthCare Foundation found Latinos are underrepresented in the physician workforce: 38 percent of the state’s population is Latino but only 4 percent of physicians were Latino. “When you look at graduates from medical schools, they don’t really match the population,” Morales said. Andrea Castillo, 21, a Medi-Cal recipient from McFarland, said it would be nice to see more Latino doctors. Growing up the oldest daughter of farm laborers, Castillo recalls driving long distances to translate for relatives at the doctor’s office. “You don’t often see a provider who looks like you, who understands you,” Castillo said.